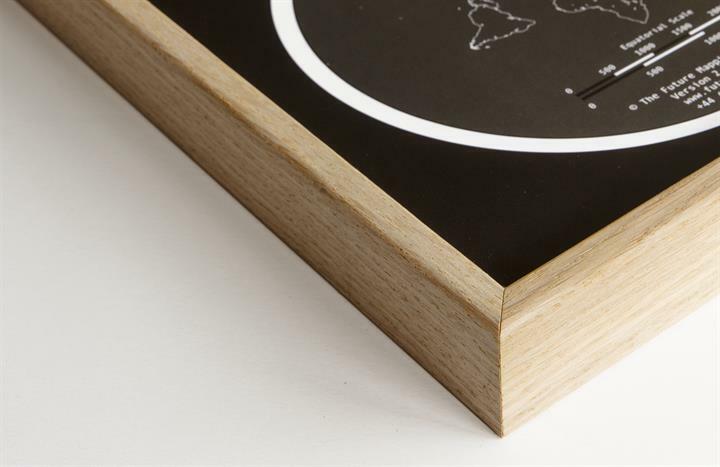 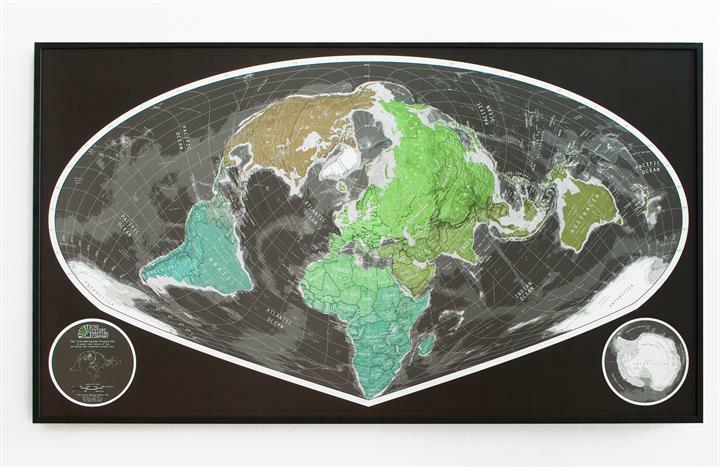 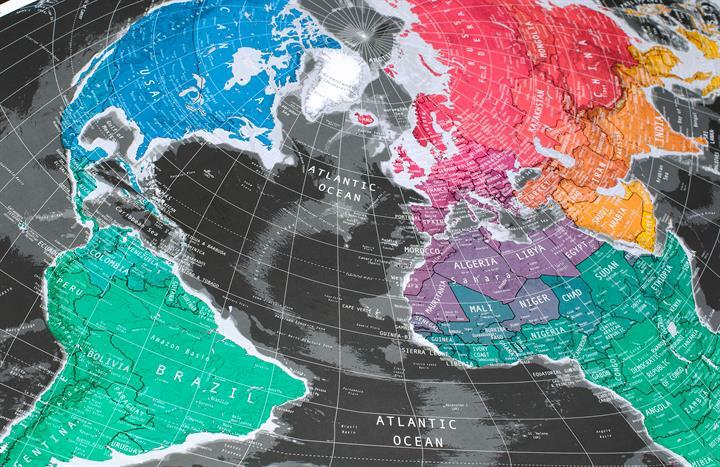 This world map shows the planet from a new perspective. 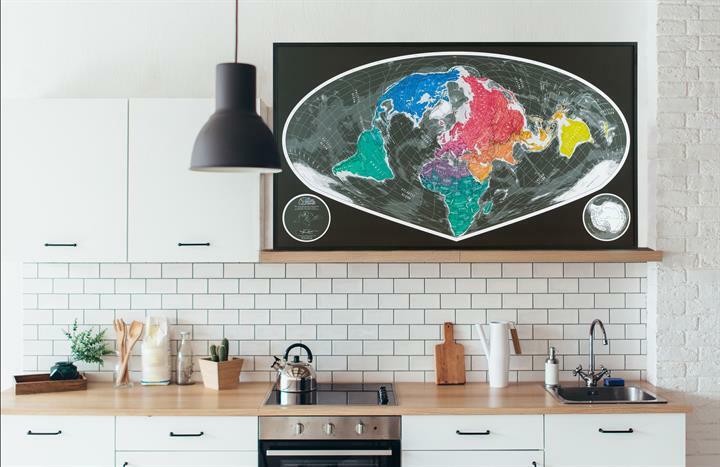 We've based our 'Wide-Angle' map on the rarely seen Sinu-Mollweide projection, giving you a space-jumper's view of the planet. 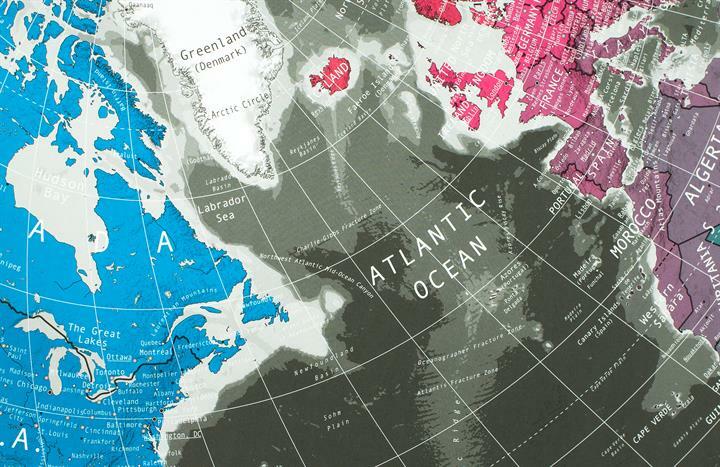 The metallic sheen of the surrounding seas creates the impression of the world reflected in a droplet poured from an alchemist's bottle. 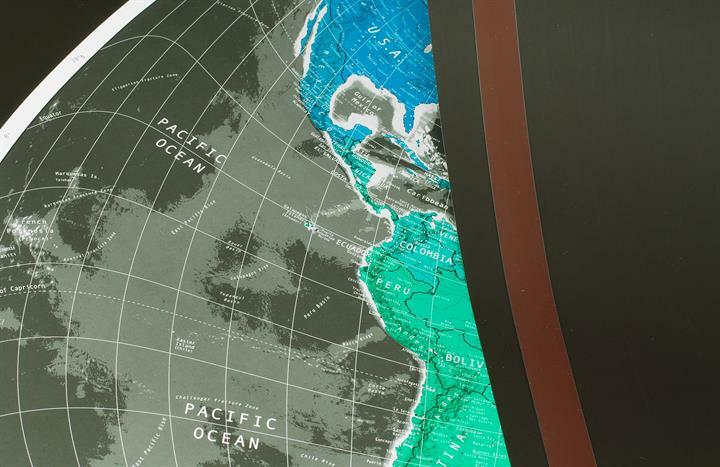 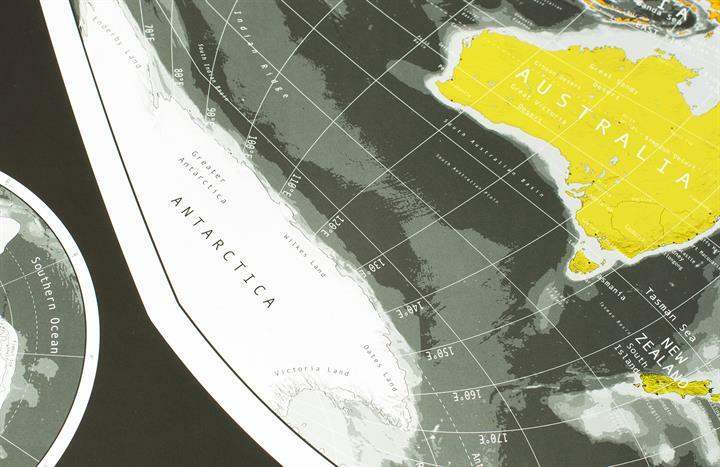 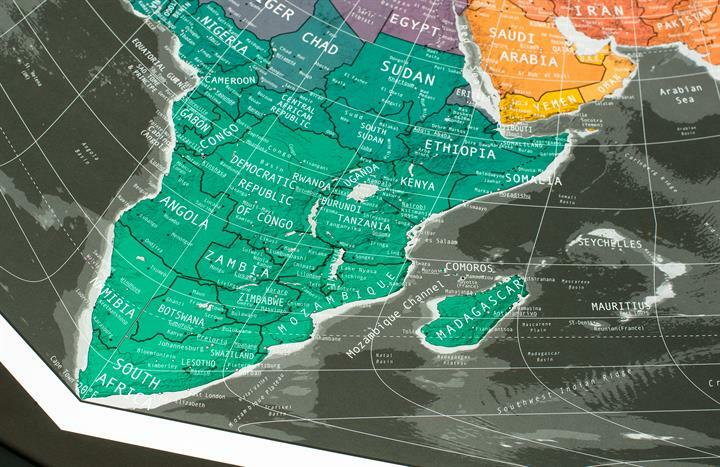 We love the futuristic look of this map, which at the same time reminds us of the prehistoric land mass Pangea. 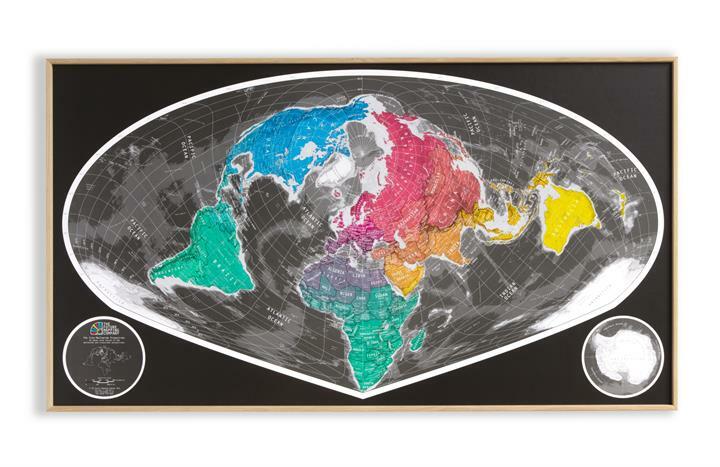 Don't be fooled by the unorthodox appearance though, as this is another of our Equal Area projections. 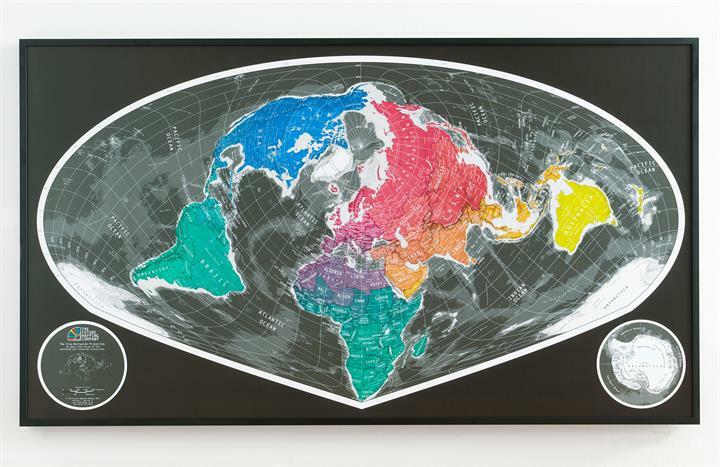 This means countries are drawn in their correct proportions to one another, which is only fair in our opinion. 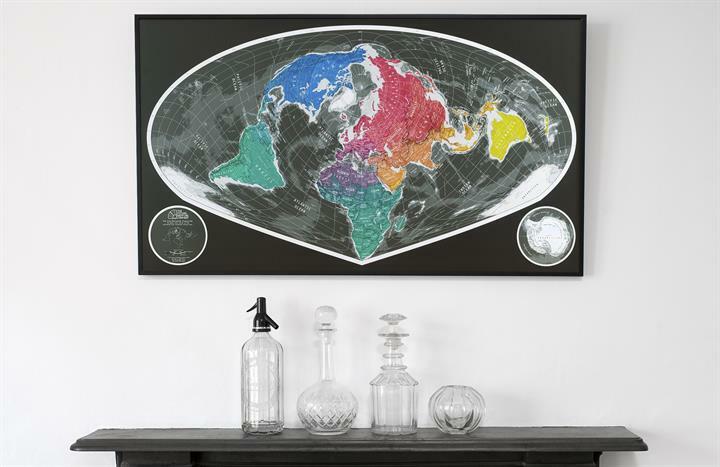 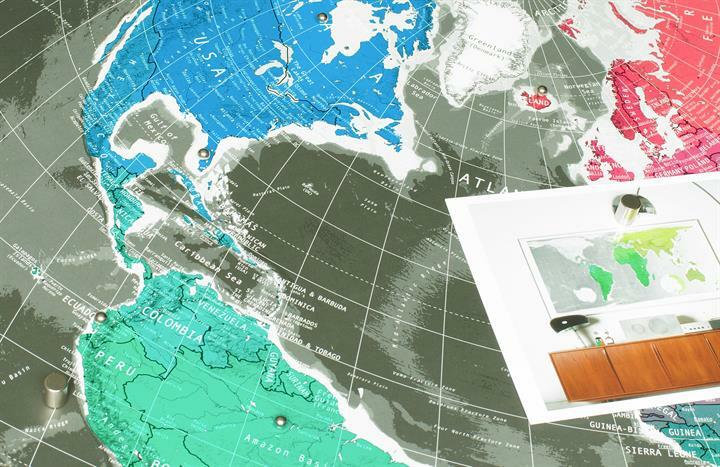 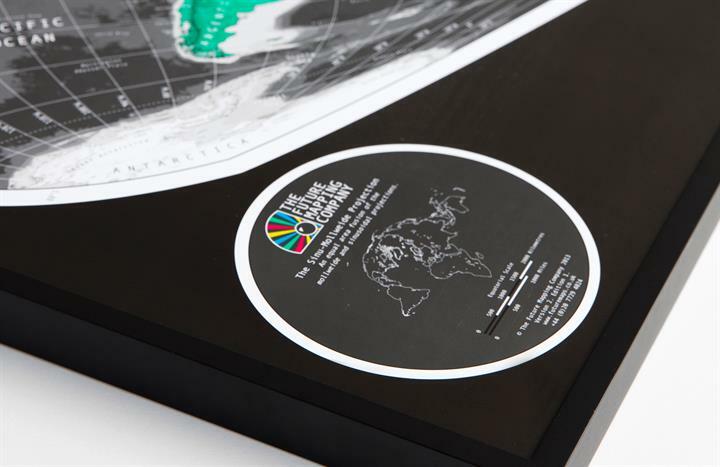 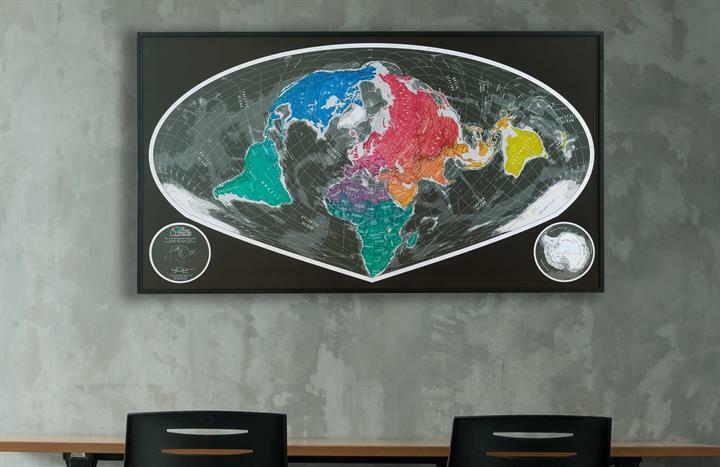 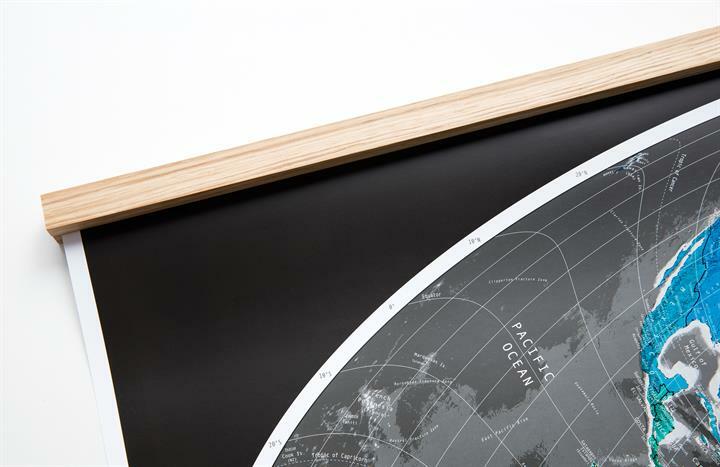 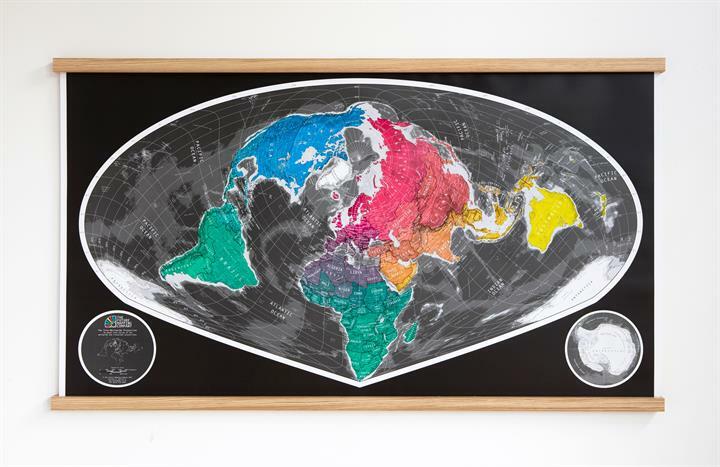 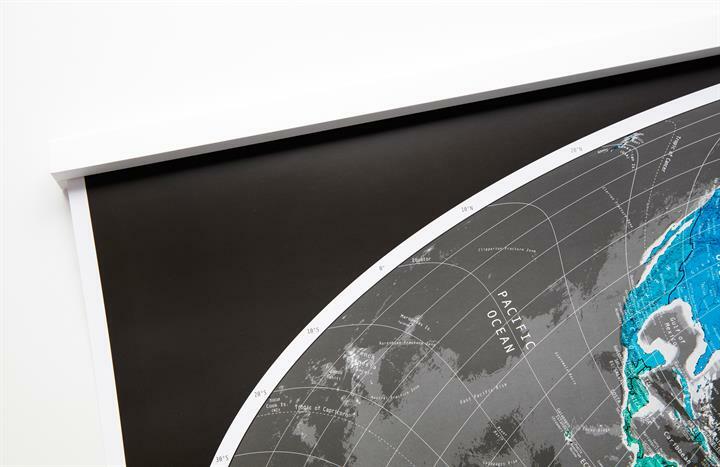 We can guarantee this map will earn its keep: as well as looking incredible on your wall, it will be the centrepiece for many a conversation.